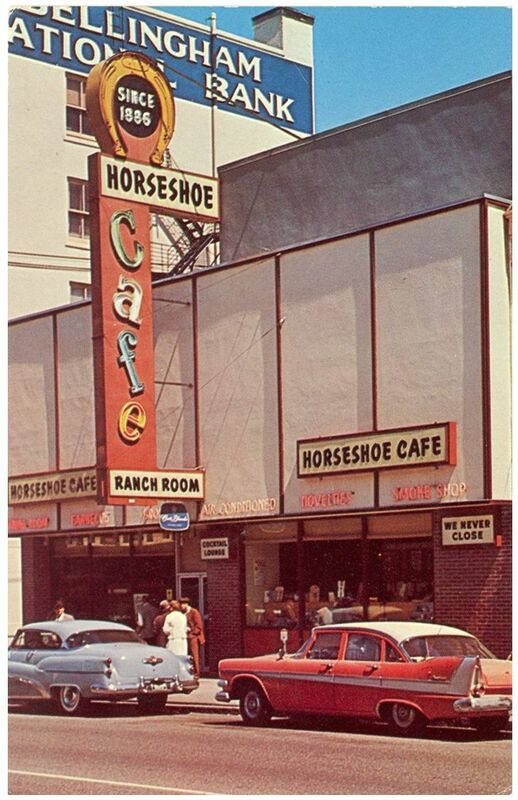 The Horseshoe Cafe in Bellingham has been in its current location since 1958. 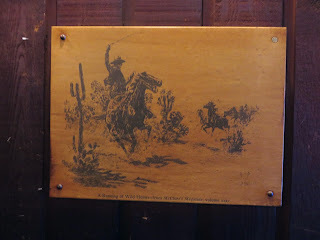 However, it traces its history under that name through previous locations since 1886. 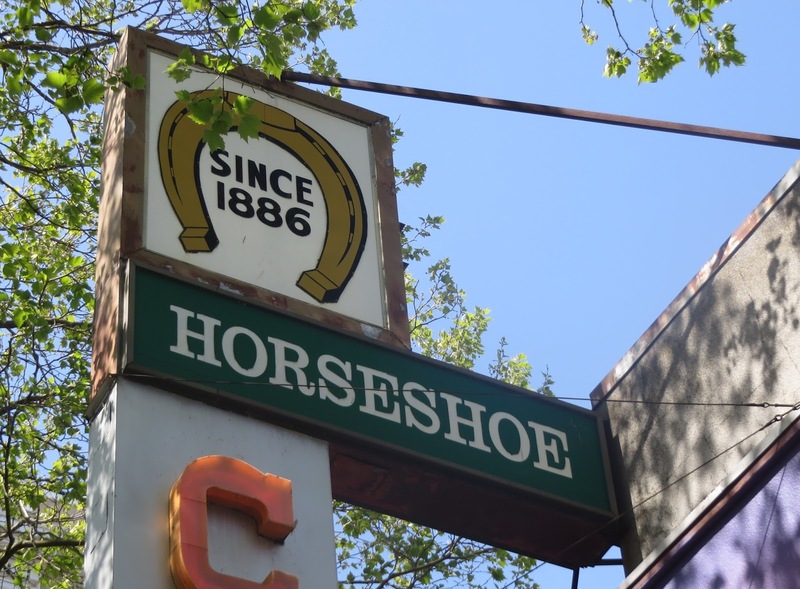 The Horseshoe claims it is Washington's longest continuously operating cafe and cocktail lounge, and it may be in some sense, as this requires a peculiar interpretation of "continuously," at least from the bar perspective. Whatcom County voted itself dry by 1910. (The Horseshoe claims to have received the first post-prohibition bar license in the county in 1950, but since city directories list many beer parlors in the city shortly after federal prohibition, I wonder if this is not a reference to selling spirits by the glass, legalized in Washington state, with restrictions, in 1948.) 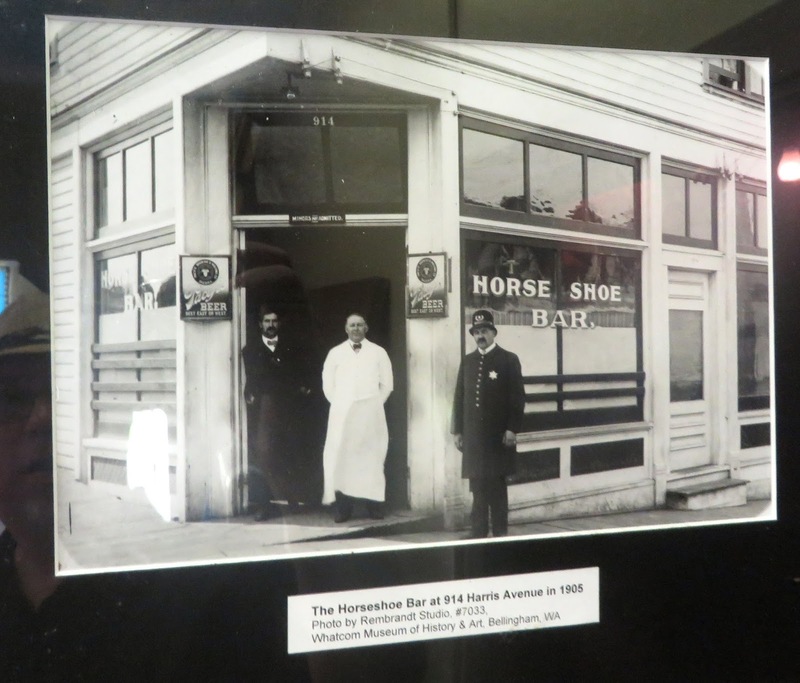 It is also unclear whether the Horseshoe was actually a bar in 1886 or just a diner (along with cigar shop and fishing and hunting supplies). 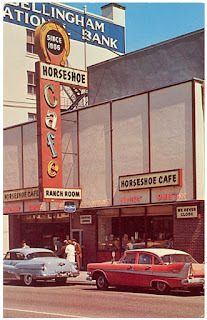 And the history of the Horseshoe before moving to 113 E Holly is a bit convoluted. 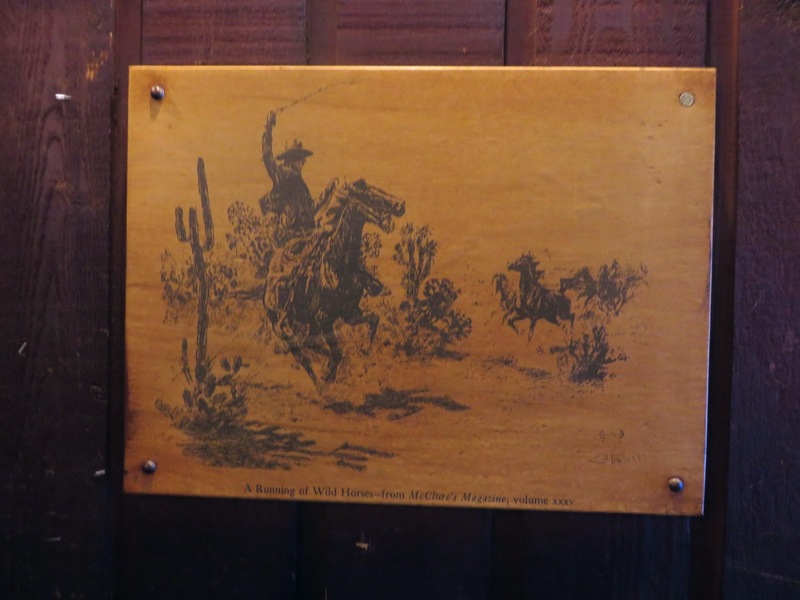 I have found "Horse Shoe" bars listed at 102 E Holly in 1903, at 914 Harris Ave in 1905, and at 106 E Holly in 1909. 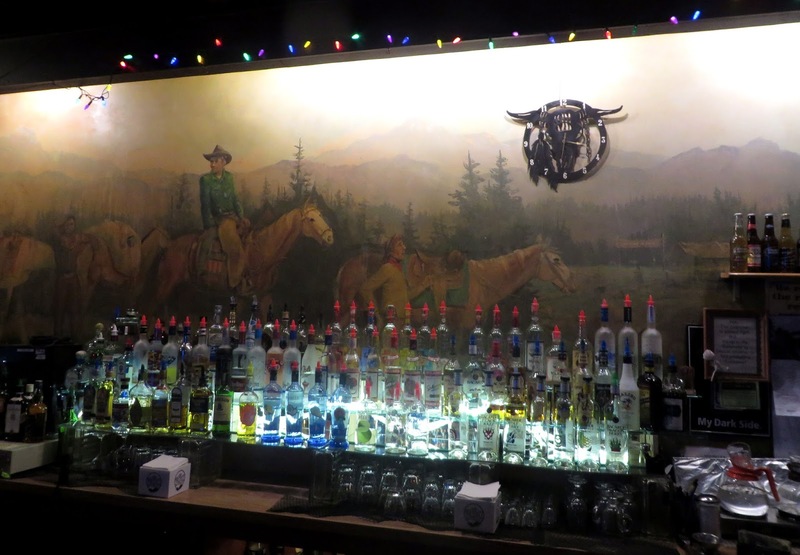 You can judge for yourself whether or not one should overlook prohibition years and allow a claim to a "continuously" operating bar that admits a 40 year gap, and whether keeping some basic version of one name should be required to count as one bar. 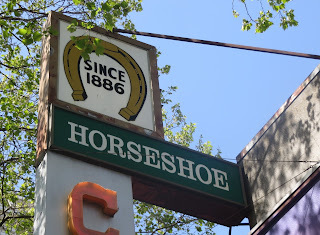 But in any case the Horseshoe does appear to be Washington's states longest running bar business under one name, and may be the oldest running restaurant and/or bar business under one name. There were also bars in this location long before Long before the Horseshoe moved in there were bars in this location. The Oxford Bar is listed here by 1903 and appears to have remained in operation until local option prohibition took effect in Bellingham Jan 1, 1911. 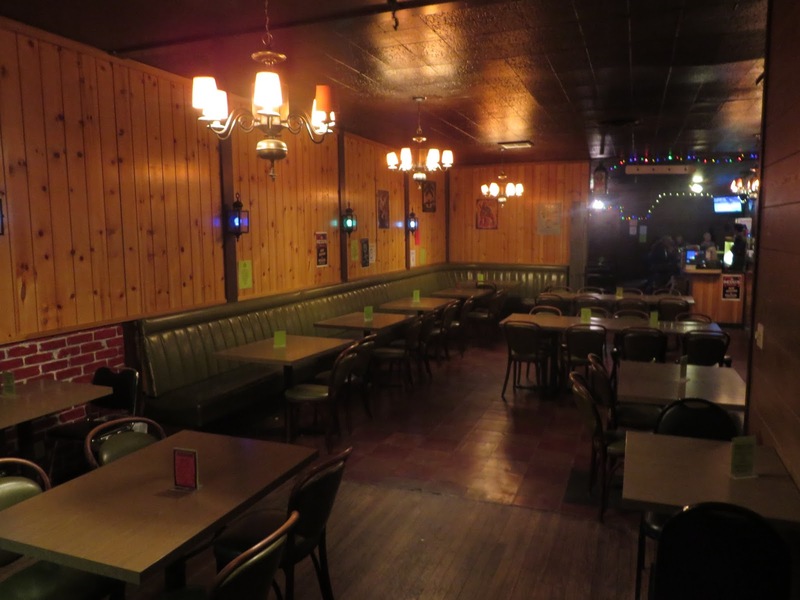 In 2015 the Horseshoe was remodeled under new ownership. While the menu was upgraded and the dining room half revamped, there were thankfully few changes to the pleasantly dark "Ranch Room," with it's knotty pine, aging cowbow murals, and 50s western decor, hosting a mix of old geezers and hipsters. 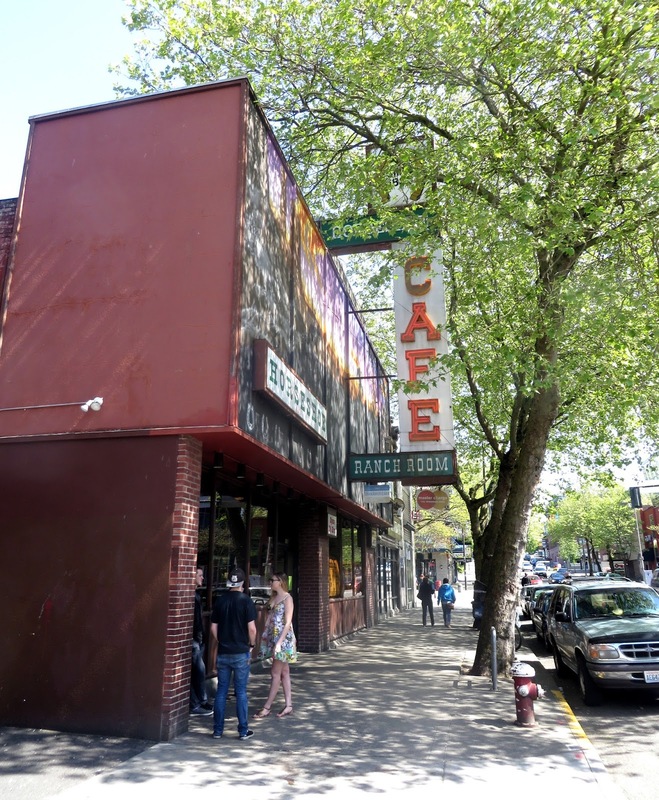 There's nothing fancy, at least once you pass the substantial neon sign, but it's a very agreeable stop for travelers and fine old regular joint for locals.